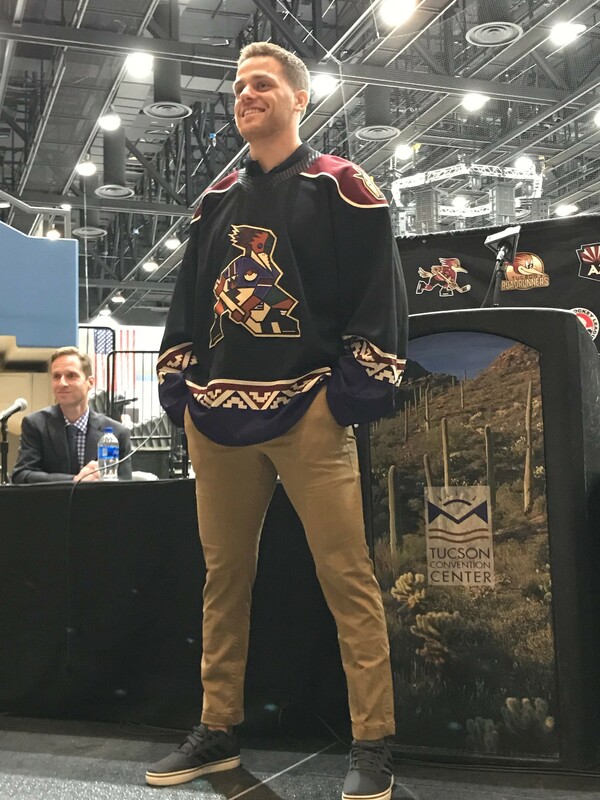 Tucson Roadrunners' captain Dakota Mermis models the team's new alternate Kachina-themed uniforms on Monday. The Tucson Roadrunners will have a new set of uniforms for the 2019-20 regular season, paying homage to their parent club, the Arizona Coyotes. Team President Bob Hoffman announced that the Roadrunners, who are the American Hockey League affiliate of the Coyotes, will wear alternate jerseys that mirror the Phoenix club's original, Kachina themed uniforms. Hoffman said the new uniforms, which will be released in time for the Roadrunners' fourth season in Tucson, will be an excellent link between the two clubs. Hoffman and the team expressed excitement at extending the branding to Tucson with the new third jersey. Fans can purchase Kachina-themed apparel online, at tucsonroadrunners.com, or at any of the team's apparel shops immediately. Hoffman estimated the jerseys will be available sometime in August or September, giving fans a chance to buy them with plenty of time for the start of the regular season. Team captain Dakota Mermis, who modeled the jersey for fans in attendance on Monday afternoon, was thrilled with the new uniform. 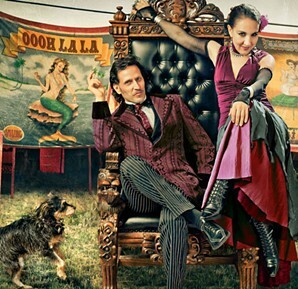 "Anytime you, especially being here all three years to be able to grow, continue to grow the brand in Arizona, and specifically here in Tucson, is something really cool," Mermis said. "Obviously, the history with the Kachina makes it that much more special to share it to fans." Hoffman said that fans who purchase 2019-20 season tickets before April 13 will receive one replica Kachina jersey per group. Mermis said the team is thrilled with the new jerseys, with many counting the hours until they can sport them on the Tucson Arena ice. "They love it. I think especially for the guys that know that they'll be back in Arizona next season. Everyone's excited," Mermis said. "I wish we could start wearing them this year. They look that great, so everyone's excited for them."